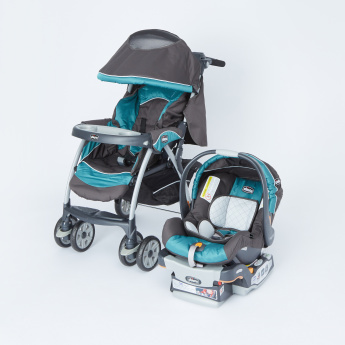 Travel with your baby conveniently by bringing home this travel system that comes with a canopy. 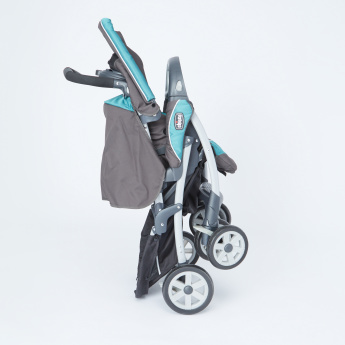 This travel system is designed with a button on the handle that allows ease of opening or closing. 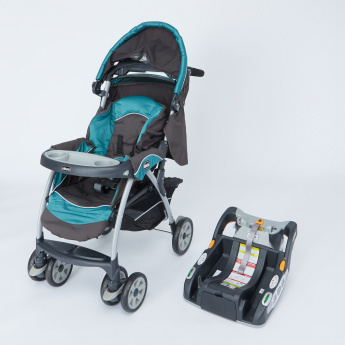 The mesh-make on the top of the canopy gives you a view of the baby as you push the stroller. The rear breaks and five-point harness ensures utmost safety.